AbbeyAckbar: We had fun with this event [^] the Souvenir is now live and awarded to event participants. Archiving now. It all went by in a flash! So now what? - Log your attendance. 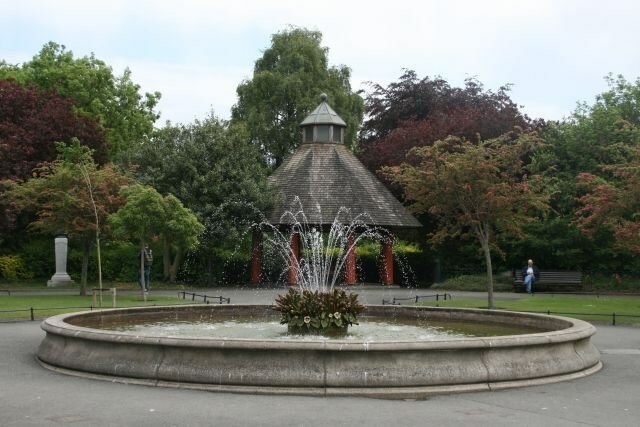 I know for a few geocachers there it was their first event, so to anyone who doesn’t know, you log your attendance by selecting ‘Log your visit’ on the top right of the cache page, then were it says ‘Type of log’ select ‘Attended’. You can write a note in the comments box if you wish, then select ‘Submit log entry. 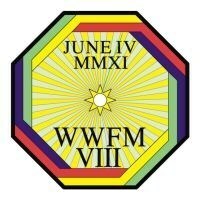 Log your attendance within the next 2 weeks in order to get the WWFM VIII Souvenir. We will upload the group photo to the cache page as soon as possible, so watch this space. Go to TinyURL.com/WWFM8 to visit the official World-Wide Flash Mob geocaching event website and see statistics from WWFM VIII, photos, videos, stories and more. When? 18:00 - 18:15, June 4th 2011. The event only lasts 15 minutes! Who? All are welcome. This event will take place come rain or come shine so come prepared. - Get to the area early, but STAY AWAY from GZ until 6pm. Be sure to submit your "attended" log within 2 weeks of the event, in order to receive a special Geocaching.com WWFM VIII SOUVENIR. CONGRATULATIONS TO ELRANA FOR FTF! 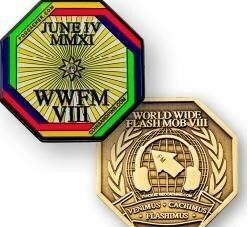 SHE RECEIVED THE FTF PRIZE SHOWN BELOW OF A WWFM VIII GEOCOIN. 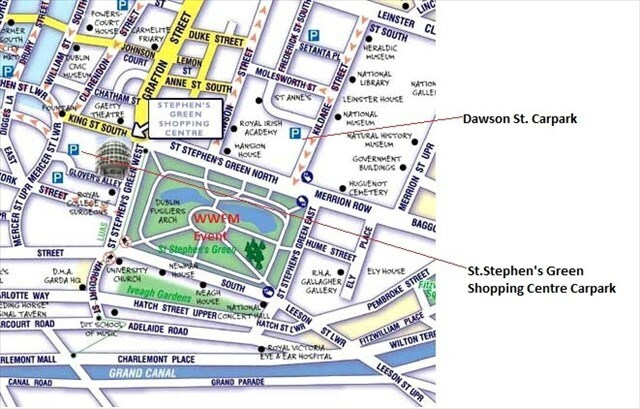 Area map including nearest carpark locations.